Durable, functional and easy to install. 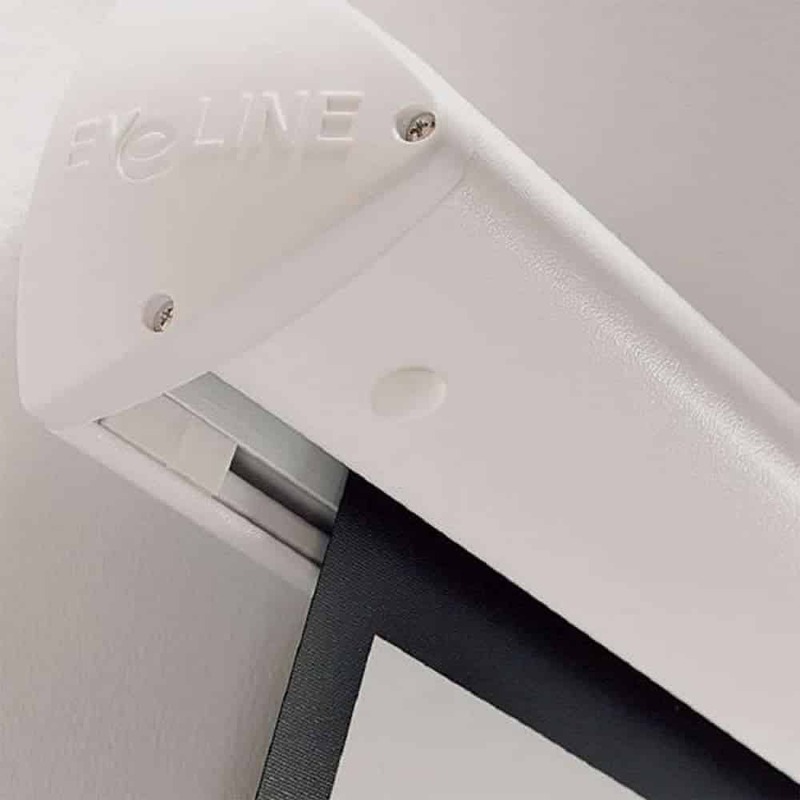 Metroplan’s Eyeline range of wall and ceiling mounted screens are widely known for its patented ‘click on – click off’ fixing bracket. These brackets are also included in the set, both for ceiling and wall mounts. 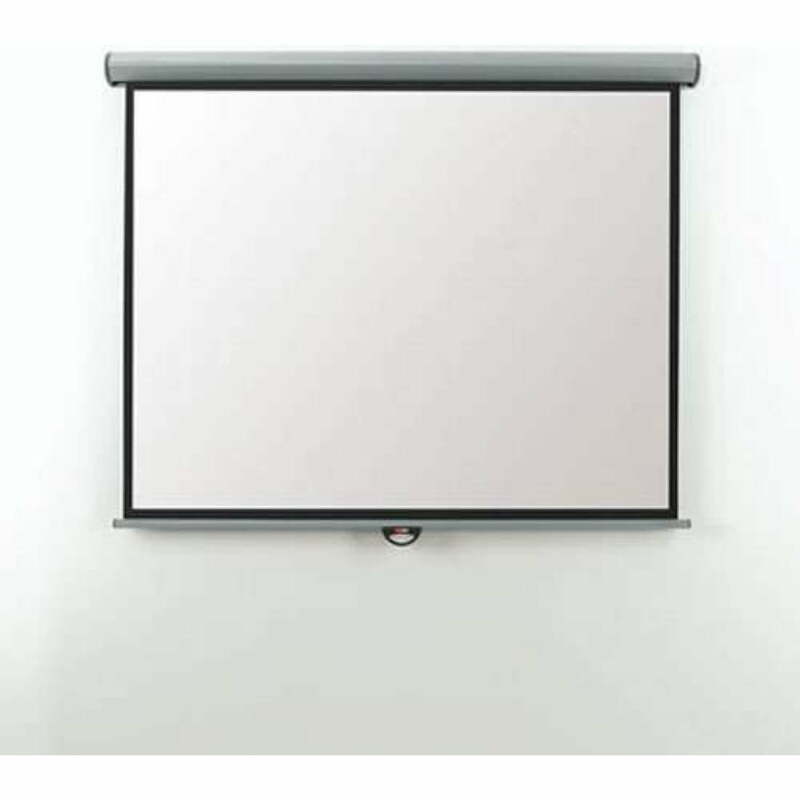 These brackets can also be placed at any length along the screen case for ideal mounting. 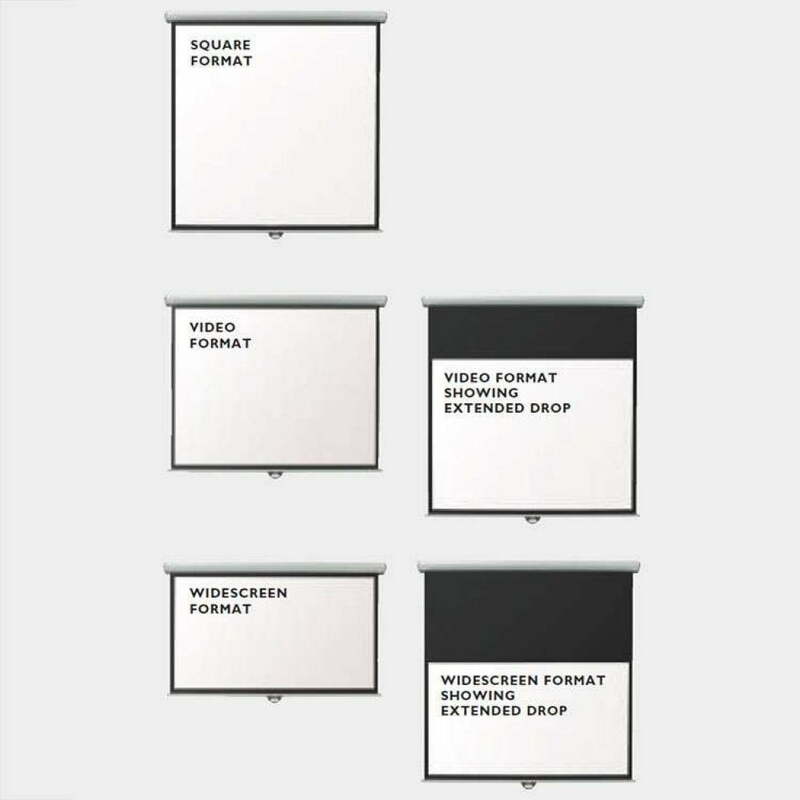 The matte white screen of the unit is bordered by a non-reflective black border to disguise any overlap of the images projected. The case of the screen comes in cool white. Excellent service from ChaseAVDirect, good communications & fast dispatch and delivery. The Metroplan EMV24W is very well made. A lot of thought has been given to the design of the screen to allow as easy fitting as possible. Supplied with ceiling and wall brackets, well recommended.